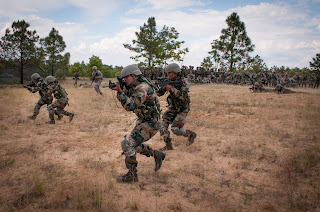 Difference between Artillery, Infantry and Cavalry - Hello Friends, Need to know the difference between Artillery, Infantry and Cavalry which are also parts of Indian Army. There is generally a confusion among people what is the working exactly of this. Generally this question is also asked during your SSB interviews you need to be aware of such questions. So we are posting this article to clear all your doubts you can go through the post to know exactly What is the difference between Artillery, Infantry and Cavalry ? Feel free to ask questions in below comments. Artillery: It uses large and long ranged weapons. They are used against high structures like a building or a large area. The weapons include tanks and howitzers. The weapons are towed and positioned at strategic sites. While highly destructive, artillery is often slow to move and imprecise, and used to minimize possible threats before the cavalry and infantry move in. 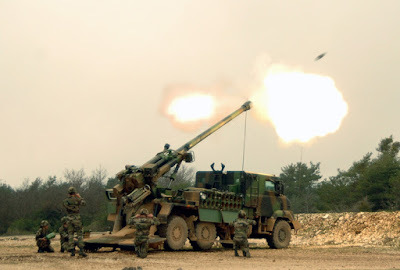 While highly destructive, artillery is often slow to move and imprecise, and used to minimize possible threats before the cavalry and infantry move in. Infantry: Infantry refers to the soldiers on foot. They do their fighting on the ground and engage the enemies directly. They use weapons like assault rifles, submachine guns, pistols etc. They are very useful as they are the basic parts of the army and are used over places where the terrain is not suitable for the cavalry or when the enemies are under cover. Also, they are used for combat in cities and other such location where it is very difficult to use large weapons or mass weaponry. Infantry employs more men under very low protection against the enemies. Cavalry: It generally means mounted soldiers. 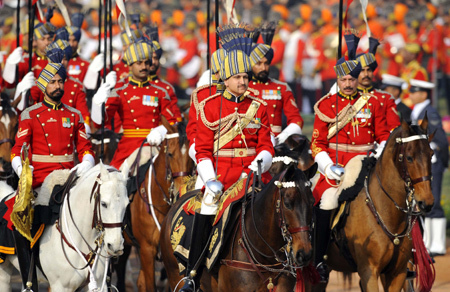 Earlier this term referred to soldiers who mounted the horses. Modern Cavalry consists of armored transport such as tanks and helicopters. Cavalry uses heavier firepower and causes more damage to the enemies. They have greater protection from the enemies. But they often find their enemies in covers and under protection and thus can’t cause much damage. A Cavalry is also more difficult to move and thus it has low range of firing. So this was all about Difference between Artillery, Infantry and Cavalry . Hope now you all are aware of the major difference among them. All doing the same work but in a different way protecting our country day and Night. Feel proud to share. if you have any questions regarding Difference between Artillery, Infantry and Cavalry feel free to ask below in comments.